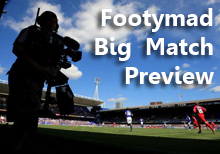 FM Preview: Tamworth v Forest Green Rovers 06 Apr 2013 - Forest Green Rovers Mad! Forest Green Rovers face a trip to Tamworth at The Lamb Ground on Saturday afternoon, hoping to improve upon an average previous return from this fixture. Of the 7 games played, Rovers have recorded 1 wins, and Tamworth have come away with 3 victories. The most recent encounter between these two sides at The Lamb Ground was just last season, in September 2011, with Forest Green Rovers inflicting a narrow 0-1 defeat upon the Lambs in a (Conference) Premier match. Tamworth are not in the best of form at home, with two wins, two draws, and two defeats in their last six. The goals for column just outweighs the goals against over this period, 6 to 5. Tamworth find themselves struggling down in 17th position in the league having picked up 48 points from their 41 matches. Forest Green Rovers lie just outside the playoff positions in the Blue Square (Conference) Premier, picking up 62 from their 40 games so far. Tamworth Latest 2 games ended in defeat. Forest Green Rovers No win in the 2 most recent games.